Moroccan culture is laden with traditions and symbolism. Many go back for centuries. Deeply rooted within the Moroccan culture there is a ritual with over 5,000 years of history: henna painting, a sophisticated form of body art. 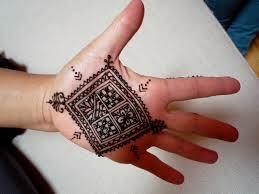 Henna is worn by Moroccan women of all backgrounds: Arab, Berber, rich, poor, educated and non-educated.